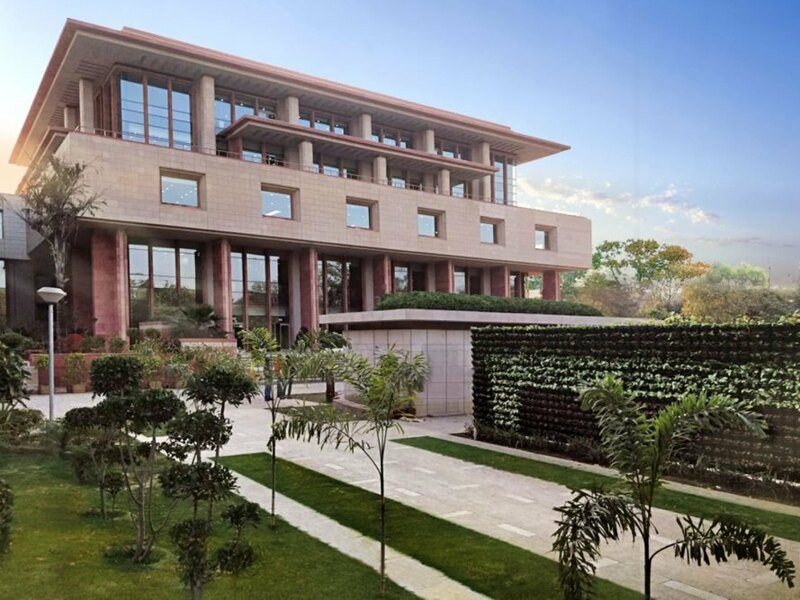 New Delhi-based architecture practice Design Forum International has completed the New Courts Complex, a modern extension to the Delhi High Court. 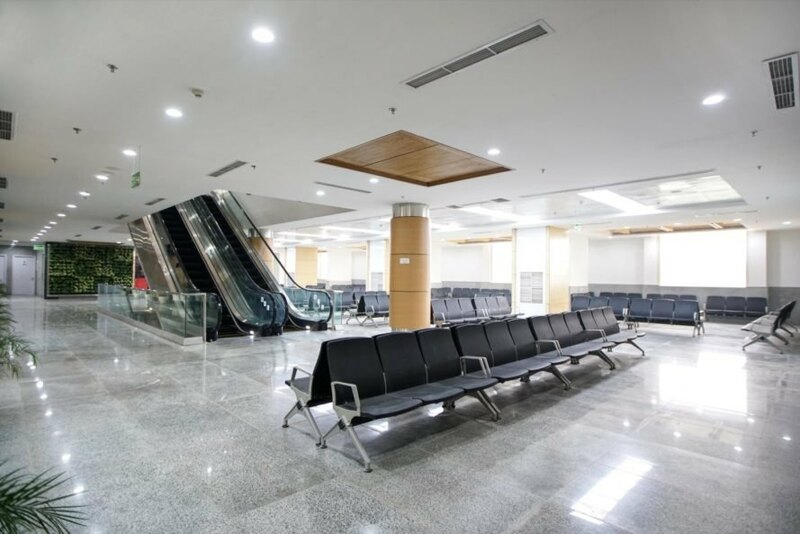 The new project was completed as part of the Delhi High Court’s ambitious expansion plan to increase capacity by 60 percent by the year 2020. Designed with energy efficiency in mind, the building was informed by passive solar principles to ensure comfortable indoor temperatures, while smart water management is practiced using sensor-operated fixtures and recycled water systems. 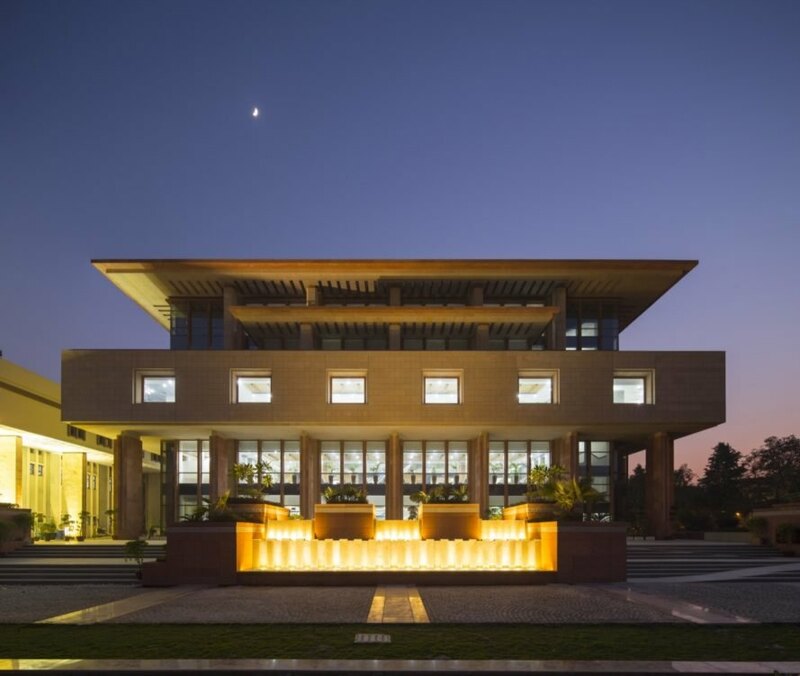 Located in the heart of Lutyens’ Delhi, the New Courts Complex mimics its predecessor with grand steps that lead to a high podium fronted with a large fountain focal point. 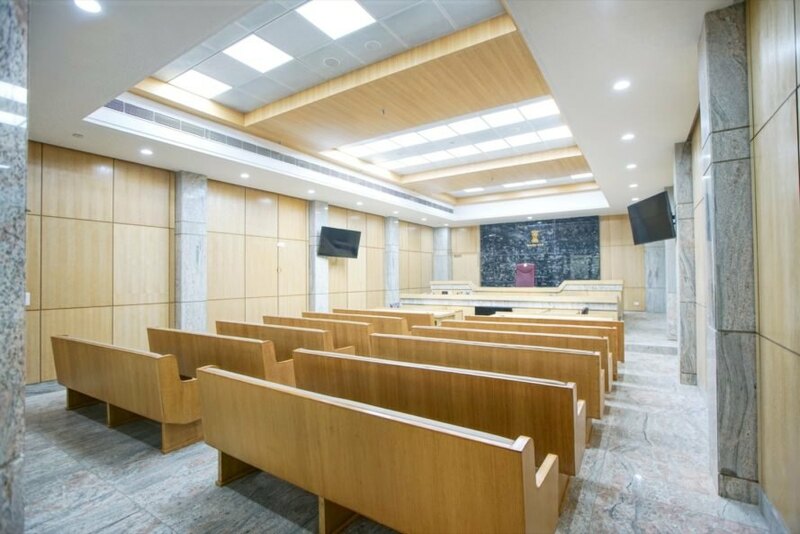 The complex includes 15 courtrooms across four floors as well as nine registrars’ courts on the ground level. Moreover, there are 16 new chambers for judges, nine new chambers for junior registrars and additional work spaces for judicial officials. Discussion and sitting rooms for members of the bar, as well as a women-only sitting room, were also integrated into the plan. Since security was also a paramount concern, open sight lines and transparency were stressed throughout. The outer walls of the building are built from A.E.C. blocks chosen for their thermal properties, and the roof was built with heat reflective tiles. In addition, high-performance coated glass and solar panels help reduce dependence on air conditioning. As a result, the total energy demand has been reduced by approximately 20 to 25 percent. Natural light is optimized in the entire building, even in the basement, thanks to carefully placed skylights. 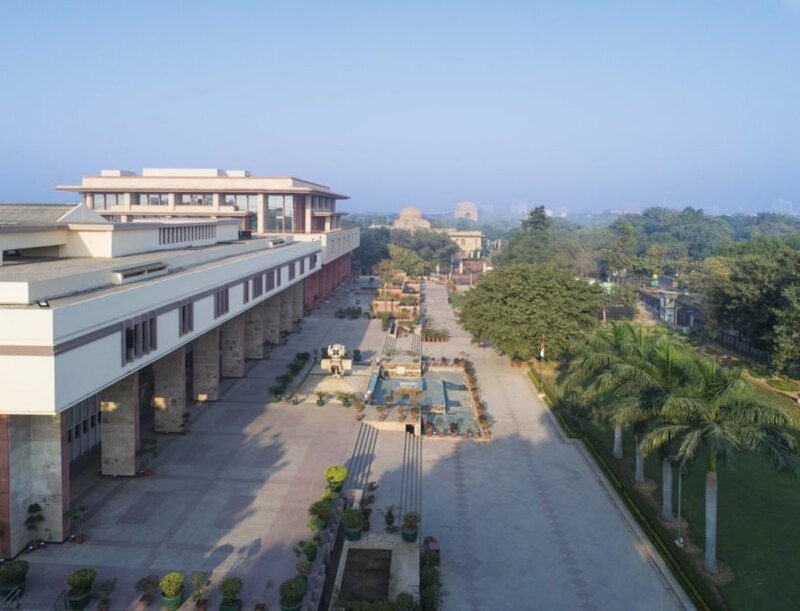 In an effort to expand its capacity 60 percent by 2020, the Delhi New Court has welcomed a new extension. The New Courts Complex uses several green building strategies for energy efficiency. From solar panels to recycled water, the structure embraces sustainable design. Beautiful new focal points, like green walls and a fountain, breathe life into the space. The complex features 15 new courtrooms. A look at one of the new courtrooms. There are also plenty of sitting areas. Private meeting rooms are elegantly decorated. The extension was designed with passive solar principles in mind. The exterior uses A.E.C. blocks for thermal insulation. Overall, the expansion has reduced energy demand by 20-25 percent.